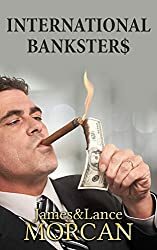 Banks, or their reputation at least, didn’t fare too well in the corruption scandal surrounding FIFA (the Fédération Internationale de Football Association) — as we discovered when researching our new release book INTERNATIONAL BANKSTER$: The Global Banking Elite Exposed and the Case for Restructuring Capitalism. A Reuters report in the June 22, 2015 edition of the Sydney Morning Herald leaves no doubt the banks could have done more to prevent the corruption. The report states, “A global group of government anti-money laundering agencies said that financial institutions have not done enough to police suspicious financial activity by officials at soccer’s global governing body FIFA, and cautioned banks to step up scrutiny. “The warning from the Paris-based Financial Action Task Force (FATF) came in the wake of last month’s indictment by the US of nine current and former FIFA officials and five business executives on a series of corruption charges, including bribery, money laundering and wire fraud”. “The acting US Attorney for the Eastern District of New York, Kelly T. Currie, told a news conference when the indictments were announced on May 27 that bank actions would be reviewed to see if they knowingly facilitated bribes. The banks concerned have not been accused of wrongdoing”. While the banks may not have been accused of wrongdoing, that’s not to say they’ve done no wrong in the FIFA debacle. The above Reuters report concludes, “The involvement of anti-money laundering monitors in current investigations of FIFA corruption was highlighted last week by Michael Lauber, attorney general of Switzerland. “Lauber, who announced his FIFA investigation on the same day that US authorities revealed the indictments, told a news conference in Berne last week that his investigators were examining sets of suspicious transactions related to FIFA. “He said that these transactions included 104 banking relationships, some of which involved multiple accounts, as well as 53 suspicious transactions which had been flagged by Swiss financial institutions to Switzerland’s anti-money laundering agency”. Subscribing to underground bases theory may not be D.U.M.B.